From autonomous forklifts to new ergonomic and energy features, suppliers continue to innovate ways to save time and boost production. Consider if your forklift equipment has kept up with the times. Full disclosure, I first stepped into the path of an oncoming autonomous forklift about three years ago, and I did it on purpose. I was visiting a production plant in Sweden, and my host urged me onto the facility floor to start my tour. But then I froze. I was looking for the painted path—the designated pedestrian pathway, but there was none to be seen. Several forklifts were crossing back and forth, moving skids of crates and stacking them. There were no operators. “Come on,” she said. “They’ll work around us.” I took a breath and followed. Read more at Pallet Enterprise. In the coming weeks, Walmart will be breaking ground on a new project, and the result will be, well, groundbreaking. Shafter, Calif., will be the home of Walmart’s first high-tech distribution center for fresh and frozen groceries. What does that mean exactly? A traditional distribution center, or DC, is the hub where products like eggs and strawberries are received. From there, associates load goods onto trucks and deliver them to your local Walmart store or Sam’s Club. DCs are a key part of Walmart’s supply chain. As Walmart transforms to better serve customers, the question is, what does the distribution center of the future look like? “The high-tech DC in Shafter will allow us to move product to stores and clubs faster so that we can better serve customers,” says Tim Cooper, senior vice president of supply chain for Walmart. How? Rather than manually stacking boxes and building pallets, the new DC will allow associates to use the new technology to do the (literal) heavy lifting. Cool story, but what if those machines put a watermelon on top of a case of tender, beautifully ripened strawberries? Shayne Wahlmeier, one of the engineers on the project, described the plan to keep this from happening. Sort of like the game of Tetris, but with apples and ice cream. Because the technology is helping associates build a more flexible, dense pallet, more products will be able to fit onto a truck. This will reduce transportation costs, and those savings can be passed on to customers. And remember those strawberries that aren’t getting crushed? Fewer damages mean a reduction in food waste. Customers can be more confident that a product is in stores when they come to fill up their carts. And these are jobs people can get excited about. Many of the new positions will be technology-focused or STEM jobs. “The order-filling position is an arduous one,” Tim explained. He went on to say that while the supply chain is the backbone of Walmart’s business, the jobs of the future might be less physically demanding. From Online Grocery Pickup, powered by Alphabot, to an automated floor scrubber, Walmart is investing in technology to empower associates to do their jobs better and more efficiently. The high-tech Shafter distribution center is just one example of Walmart making big bets when it comes to the future of retail. JLT Mobile Computers, a leading developer and manufacturer of reliable computers for demanding environments, sees an increasing demand for Android within many of its core segments, including warehouse logistics, transportation, ports, mining and agriculture markets. 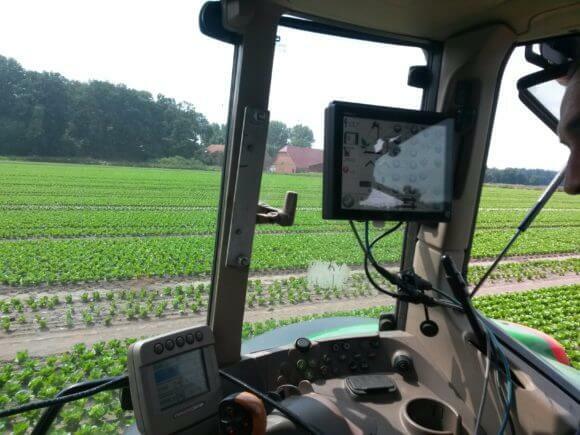 Responding to this trend, in March 2018 JLT launched its latest generation JLT6012™ vehicle-mount computer with Android support, and is now expanding its Android operating system product suite with three new fully rugged portable computers. Being by far the most common mobile operating system for smartphones and other consumer devices, Android, with its familiarity, ease-of-use and flexibility is now growing in popularity also in the enterprise and vertical market space. 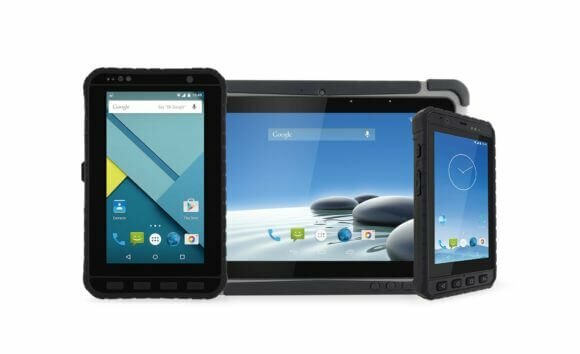 The three new products are the 5-inch MH1005A™ rugged handheld, the 7-inch MT1007A™ rugged tablet, and the 10.1-inch MT2010A™ rugged tablet. All are IP65 dustproof and water resistant, capable of operating in temperatures of -10 to +50°C (14 to +122°F), built to withstand even the most challenging working environments, and tested to applicable MIL-STD-810G requirements. Powered by ARM® Cortex™-A53 octa-core 1.3 GHz processors, all come with bright sunlight viewable displays, capacitive multi-touch screen, front and rear integrated cameras, as well as data capturing functions including NFC reader and optional 1D/2D-barcode reader. For maximum productivity, all include Wi-Fi, Bluetooth, GPS, and mobile broadband and provide full-shift battery life or more. The new rugged tablet and handheld units, which are available for immediate order, are offered with the same high level of support and services that JLT is renowned for. A wide range of accessories is available, including vehicle and desktop docks, high-capacity batteries, battery chargers, and hand and shoulder straps. For more information, visit www.jltmobile.com. Yale Materials Handling Corporation announces its exhibit at PACK EXPO International featuring the latest addition to its robotic lift truck lineup. In an age of increasing demand and limited workforce availability, operations are turning to robotic solutions to optimize workflow and enhance labor efficiency. 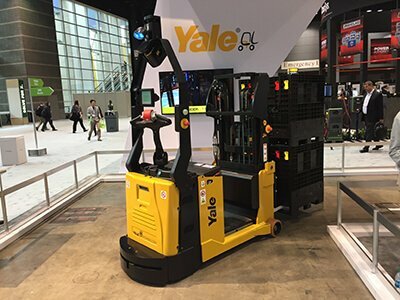 Yale Materials Handling Corporation is highlighting the latest addition to its robotic lift truck lineup, the Yale® MC10-15 counterbalanced stacker Driven by Balyo. Attendees can see the robotic CB stacker in action at PACK EXPO 2018 in Chicago’s McCormick Place at booth E-7856 in the Upper Lakeside Center. “The counterbalanced stacker model is capable of not only point-to-point horizontal transportation, but also vertical movement, allowing it to autonomously retrieve or deposit pallets from elevated spaces. This opens a variety of tasks for automation, including transferring pallets from floor-level staging areas to conveyor lines, loading and unloading in cross-docking applications, and stacking pallet loads onto elevated storage racks. Personnel can switch the CB stacker from automatic to manual mode at the touch of a button, enabling them to handle unplanned challenges or fluctuating demands. In addition to the MC10-15 counterbalanced stacker, Yale offers two other robotic lift truck models with Driven by Balyo technology – the Yale® MO70T tow tractor and MPE080-VG end rider models. The Balyo architecture offers the flexibility to manage a single truck or an entire fleet and is scalable to operational demands. The infrastructure-free navigation technology maps existing structural features to self-locate and navigate, without requiring extra infrastructure like tape, wires or magnets for guidance. COLUMBUS, Ind. – [October 10, 2018] – Toyota Forklifts expanded its product line to help warehouse customers meet growing demands. The number one forklift manufacturer in North America announced today that it is introducing three new order pickers. The new products offer advances in efficiency technology with their optional Lift Logic Speed and Height Control System, enabling fast and easy picking. The line includes Toyota’s first model in the class to offer a 36-volt option that reaches a maximum reach height of 390 inches. The three new models come equipped with AC Drive and two models come standard with AC Lift. The entry-level model is a 24-Volt that lifts up to 240 inches. The mid-level model is also a 24-volt and lifts up to 366 inches with faster lift speeds than competitive 24-Volt models. Finally, the premium-level model is a 36-volt and lifts up to 390 inches. The new product line is built for customers in general warehousing, distribution, general manufacturing, retail, food storage, cold storage and more. All three models are available now. About Toyota Material Handling, U.S.A. Proudly manufactured in the United States, Toyota Industrial Equipment offers a full line of material handling solutions including forklifts, automated guided vehicles, fleet management services, aerial work platforms and tow tractors, along with advanced automation engineering and design. Toyota’s commitment to quality, reliability and customer satisfaction, the hallmark of the Toyota Production System, extends throughout more than 230 locations in North America. For more information, visit ToyotaForklift.com. Damotech makes the 2018 Growth 500 list! Canadian Business and Maclean’s has ranked Damotech No. 378 on the 30th annual Growth 500, the definitive ranking of Canada’s Fastest-Growing Companies. Produced by Canada’s premier business and current affairs media brands, the Growth 500 ranks Canadian businesses on five-year revenue growth. Growth 500 winners are profiled in a special print issue of Canadian Business published with Maclean’s magazine and online at CanadianBusiness.com and Growth500.ca. Damotech made the 2018 Growth 500 list with five-year revenue growth of 152%. The company ranked 41st in theMontreal region. 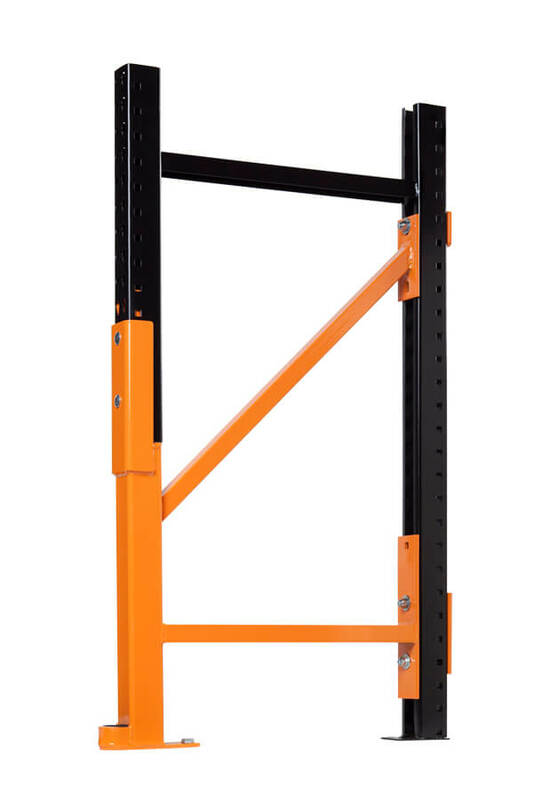 Founded in 1989, Damotech is the largest provider of rack repair solutions in North America. 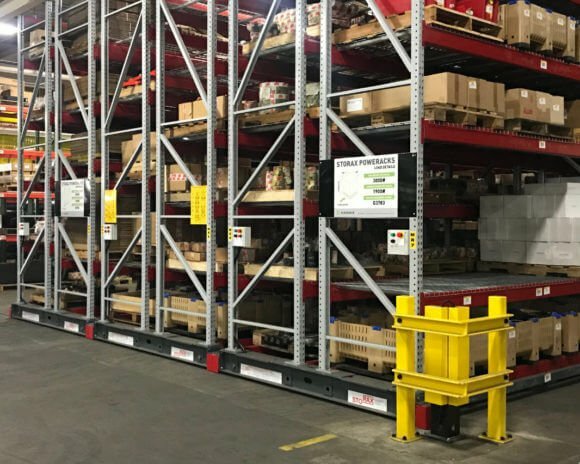 Dedicated to uncompromising quality in the name of safety, Damotech helps warehouse owners keep their working environment safe by inspecting, repairing and preventing damage to their pallet racking systems. The company manufactures custom repair products to address damage after it occurs. Damotech also performs rack conformity inspections and load capacity calculations through its engineering services arm, and offers the only truly dedicated rack inspection and management software in the industry. “For Damotech, which operates in a traditional industry, being part of the Growth 500 list for 2018 is quite an accomplishment,” says Eric Naaman, Damotech’s CEO. “Substantive investments were made in the last 8 years to fuel that growth. We invested heavily in a new LEED accredited manufacturing facility in Boisbriand, making the production process as automated and efficient as possible. We also substantially grew our dealer network in Canada and the US further accelerating our progression in those markets. But in the end, our exceptional growth wouldn’t have been possible without the amazing dedication and talent of the Damotech team and our endless focus on becoming a customer centric company. Find out more at www.damotech.com. Växjö, Sweden, October 2nd, 2018–JLT Mobile Computers, a leading developer and manufacturer of reliable computers for demanding environments – and renowned for its high-level of support and flexibility in addressing customer challenges – is expanding its customer service and support capabilities in the US market. With the strengthened service offering, JLT is set up to better support its growing US customer base today and in future. The new JLT service site near Atlanta, Georgia, offers repair and maintenance services for third-party products, including barcode scanners and label printers as well as rugged computers and tablets from most manufacturers, including Honeywell, Zebra, LXE and Intermec. Customers benefit from a single point of contact through JLT and can manage their entire fleet of Auto-ID equipment in the new JLT RepairEngine™ online maintenance management tool, resulting in decreased overall maintenance costs and more effective operations. JLT RepairEngine significantly simplifies repair handling and device maintenance for JLT’s customers and partners.The easy-to-use web tool gives users the ability to not only start and track repairs 24/7, but also manage all of their rugged IT products and related hardware. Customers will get detailed analytics that provide key insights into the health and status of their hardware deployment and that enable them to spot and rectify trends promptly. Other benefits and features include: easier and time-saving RMA handling; smart-search functionality, using serial number, model etc. ; tracking of ongoing repairs with status and location; and reports and dashboards of device status and repair history. Since establishing its US subsidiary at the end of 2014, JLT’s US business has significantly outpaced the industry. The new scalable service offering will enable JLT to fuel and support further expansion in the Americas. The new service center and the investment in such a comprehensive service infrastructure – including the deployment of the JLT RepairEngine – illustrate and sustain a core ethos of JLT: its desire to increase business value and maximize ROI for its customers by leveraging its broad range of experience and expertise in integrated technology solutions. Contact JLT Mobile Computers today for more information about the expanded service offering (available for the North American market) or visit www.jltmobile.com to learn more about JLT, its products and solutions. 28 September – London, UK – SLAMcore, a UK company developing spatial artificial intelligence (AI) algorithms for robots and drones, today announced that it has raised $5m in funding led by global technology investor Amadeus Capital Partners. Existing investors Mirai Creation Fund and Toyota AI Ventures joined the round alongside newcomers MMC Ventures and Octopus Ventures. To be truly useful, robots and drones require spatial intelligence, including the ability to accurately calculate their position, understand unfamiliar surroundings, and navigate with consistent reliability. The fundamental algorithms that achieve this spatial awareness are often referred to as Simultaneous Localisation and Mapping (SLAM). SLAMcore offers spatial AI solutions designed to easily integrate into existing platforms, allowing robotics companies to concentrate on delivering value to the end customer. SLAMcore spun out from the Department of Computing at Imperial College London in early 2016 and closed its first funding round in March 2017. Headquartered in London (UK), the company has grown quickly to a team of 15 with a wide range of expertise in designing and deploying spatial algorithms for robots. For more information, please visit www.slamcore.com. Charleston, SC – September 12, 2018 – FLEXSPACE announced the completion of the second Poweracks installation in less than a year at Smith Corona’s Ohio manufacturing and distribution facility. The second Poweracks, high-density mobile racking system, will double the storage capacity of the original 2017 Poweracks installation. The second Poweracks installation was completed within four weeks with minimal business interruption. FLEXSPACE will be exhibiting at PACK EXPO INTERNATIONAL co-located with HEALTHCARE PACKAGING EXPO, booth E-9032, taking place at McCormick Place in Chicago; October 14-17, 2018. PACK EXPO INTERNATIONAL is indisputably the year’s most comprehensive packaging event on the continent—and the one that powers innovation like no other. FLEXSPACE is an innovative storage solution provider whose vision is to revolutionize industrial storage space across America. We excel at providing our clients with solutions that minimize energy demands, capital exposure, and impact to our Earth’s resources. 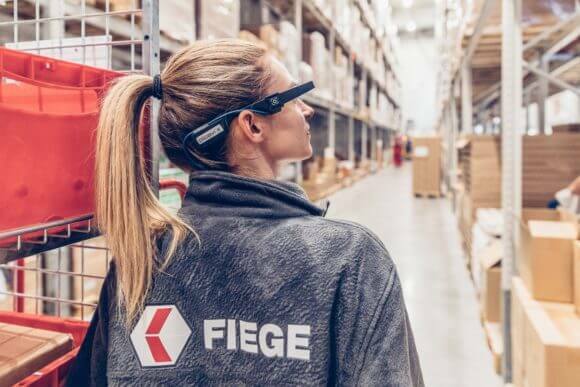 The contract logistics pioneer Fiege is setting new standards in the field of pick-by-vision: The company, which already uses the Picavi solution, has now ordered 40 more pairs of smart glasses for its site in Worms. In addition, the Fiege branch in Großbeeren will now also be equipped with the smart glasses. Fiege has purchased more than a dozen from Picavi for its logistics center near Berlin. Picavi sees these projects as milestones in the company’s development. Fiege began to pick products such as power or garden tools with smart glasses for local customers in Worms almost a year and a half ago. Twenty pairs of Picavi smart glasses were recently in use there. “The efficiency gains achieved with the pick-by-vision solution have convinced us. 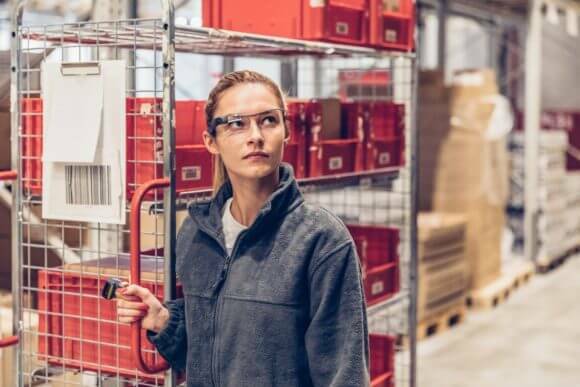 For this reason, we are now equipping even more warehouse workers with smart glasses,” Michael Suden, Managing Director of Fiege Industry Logistics in Worms commented on the purchase of 40 more glasses. “Because of the turnkey solution that we can offer, the integration phases are short-lived and so our customers can replace their old systems quickly. The training period needed for the workers is also very short due to the clear and always comprehensible display,” emphasizes Johanna Bellenberg, Director of Marketing and Communications at Picavi, who now has more than 50 successful pick-by-vision projects to her credit. Picavi GmbH is an award-winning and well-recognised full-service provider with a 100 percent dedication of its intralogistics and wearable expertise to Pick-by-Vision solutions. By wearing smart glasses, a strict visual guidance through the complete picking process enables workers to maximize their productivity and minimize errors while working hands-free. Picavi is already being used by numerous logistics experts from a variety of sectors. The German company is deeply rooted in the IT industry and in intralogistics. Picavi is an official Glass Partner, a Vuzix VIP Partner and connected to many other wearable providers, so the system works independently from the smart glass hardware. Clients worldwide can rely on a network of technology and sales partners such as DSA Systems in Northern America and WRH Global Australia for the Oceania region. CEO Dirk Franke has over two decades of experience in the development and sale of software systems for paperless order picking. Alexander Voss, professor of applied informatics in Aachen, supports strategic product development and software quality assurance at Picavi as a consulting shareholder. A wide network of service, integration, technology and sales partners provides additional expertise. Thanks to its practicality, the pick-by-vision solution was also awarded the IT Innovation Prize in the industry & logistics category by the Initiative Mittelstand association in 2016. In the same year, the IT and logistics specialist was one of three companies to be awarded the “Hidden Champion” prize in the “Vision” category by German news broadcaster n-tv.